Beautiful Frozen Elsa is going to become a mother. This is a very important stage in the life of every girl. 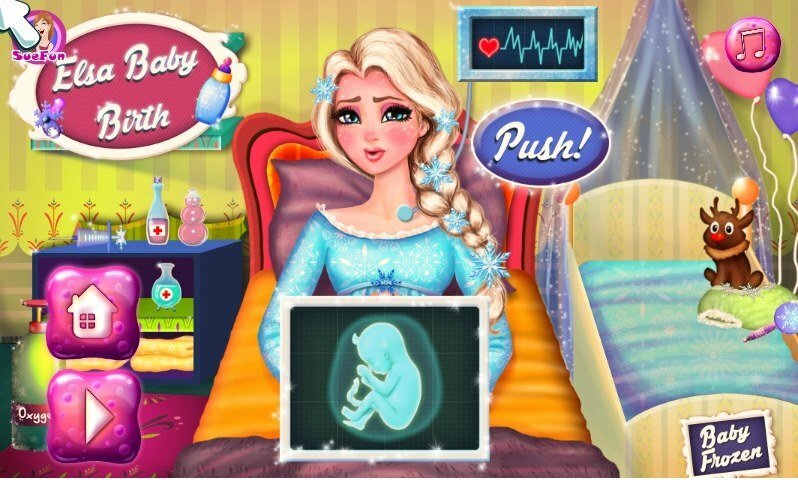 In this game you will help the Princess give birth to a blond child successfully and painlessly. Because Elsa is preparing to become a mother for the first time and very nervous. She wants her child to be born healthy and did not suffer during childbirth. How to play: help beautiful Elsa be a mother and stop worrying about this difficult process. In the game you can help her to collect things to go to the doctor and to pass a simple examination in the hospital. This will give the opportunity to be born a beautiful child and the Princess will be a happy mommy. Played: 31770. Added: 16-11-2015, 01:46. Frozen Elsa Baby Birth game. Help Elsa to pack the things she need.